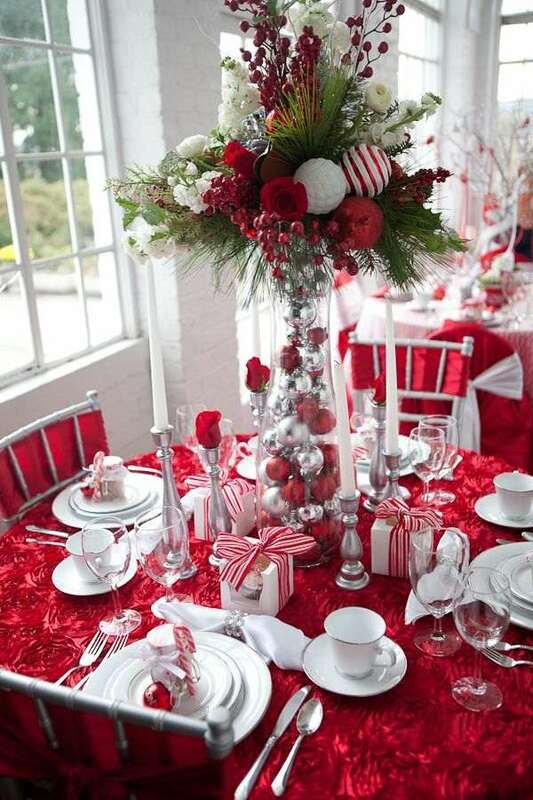 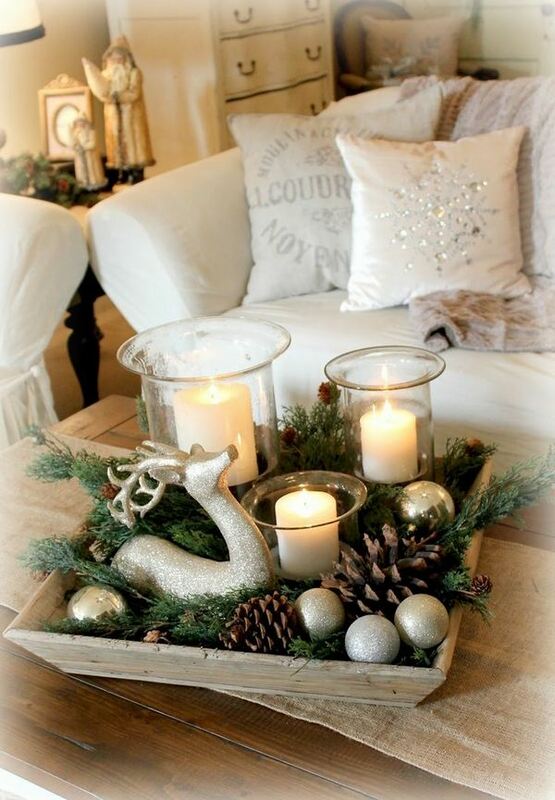 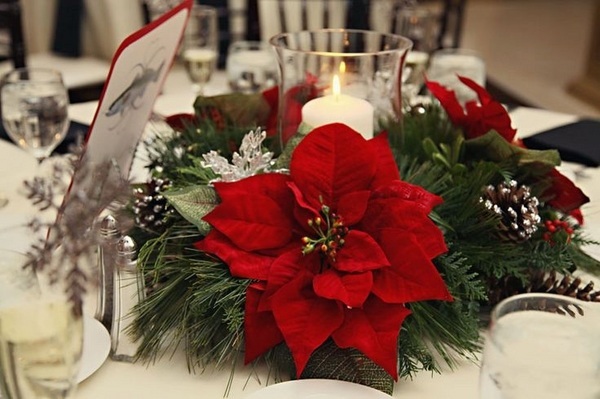 Christmas centerpieces are the focal point of the festive table. 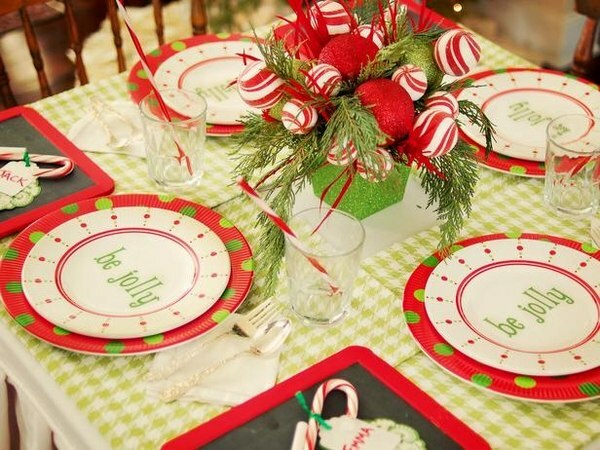 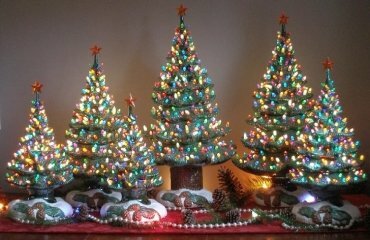 It is the most important element of the holiday table decor and surely you would love to decorate the table beautifully for this very special holiday to create a holiday mood for your family and guests. 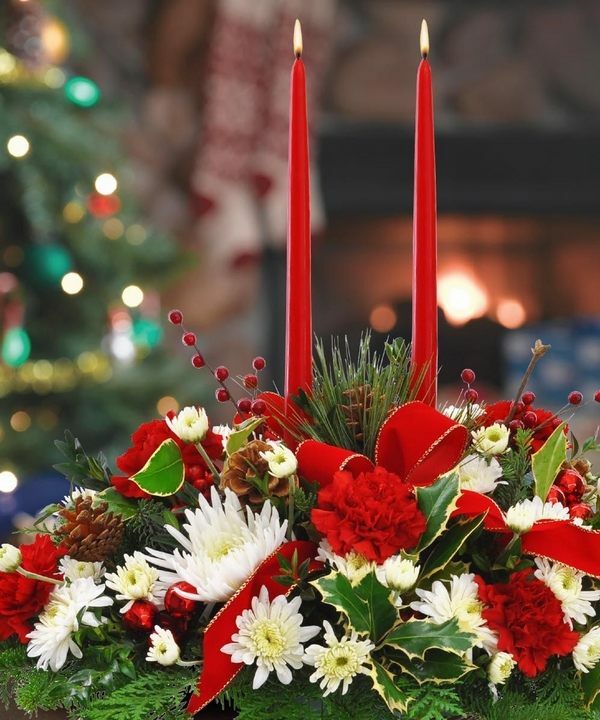 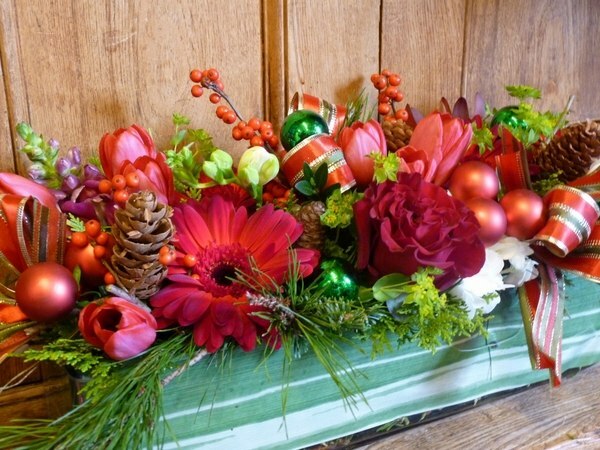 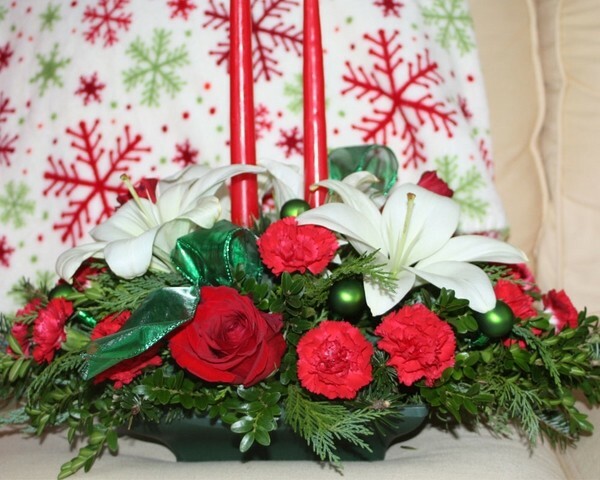 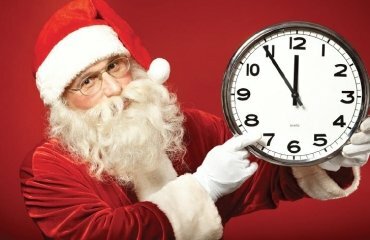 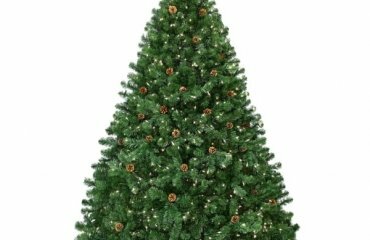 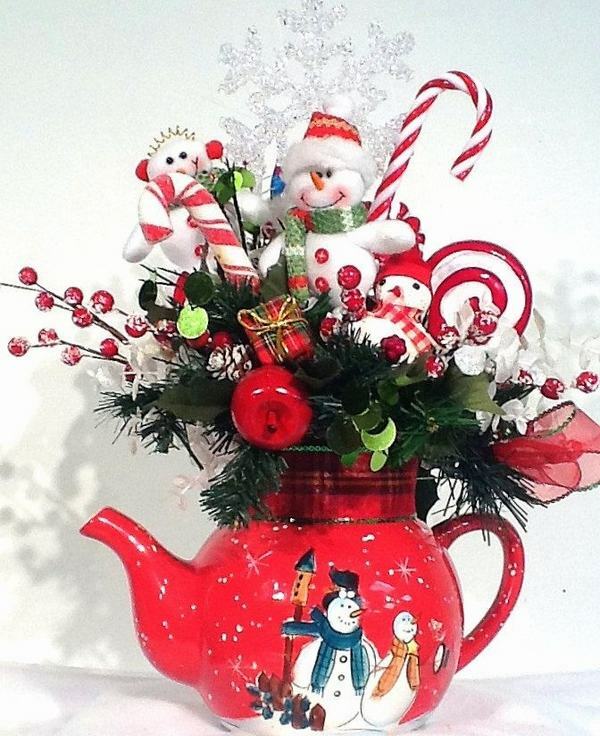 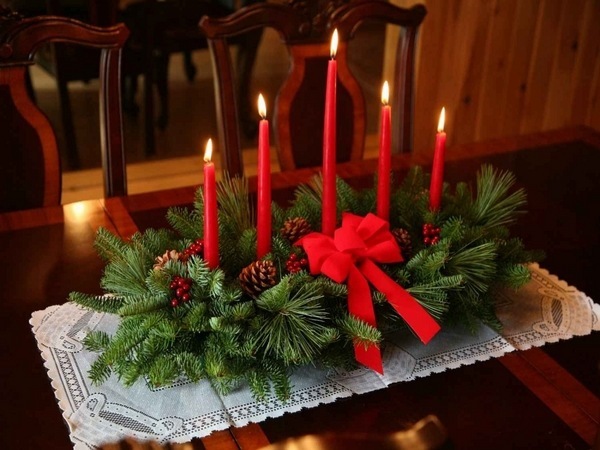 The variations in combining flowers for your Christmas centerpieces are numerous. 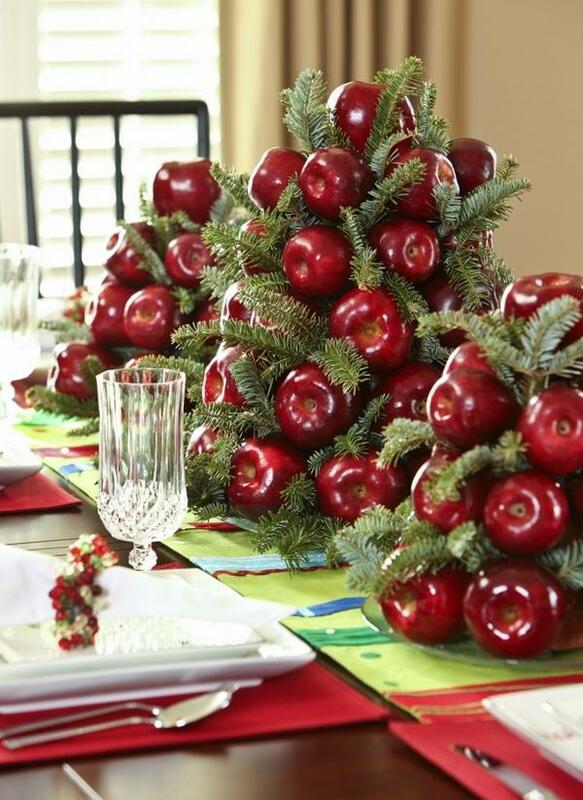 You can add different fruits and vegetables, leaves, twigs of evergreens. 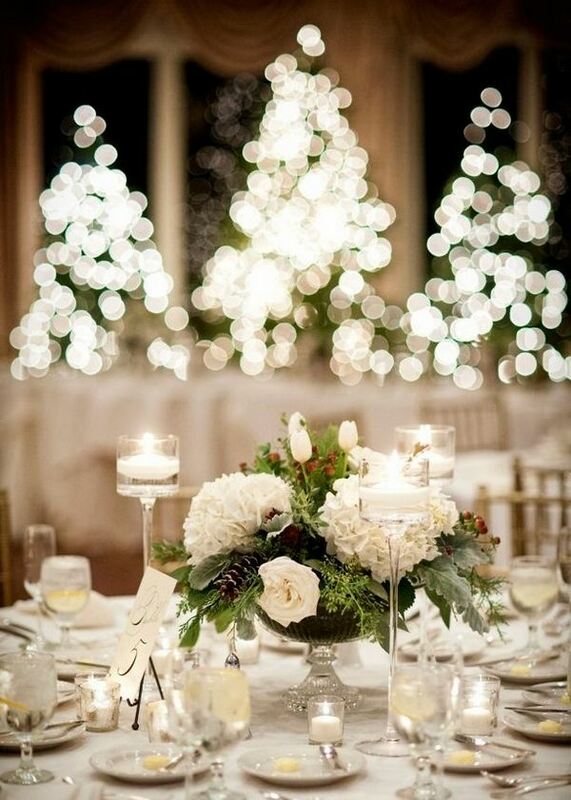 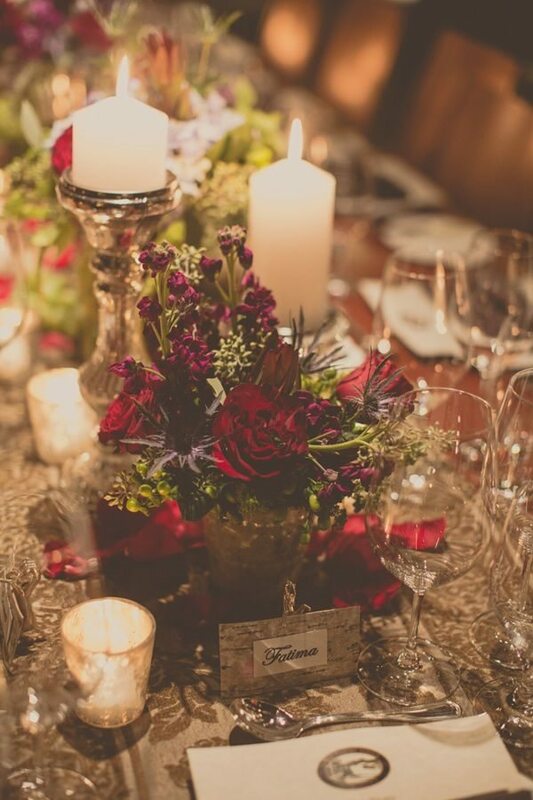 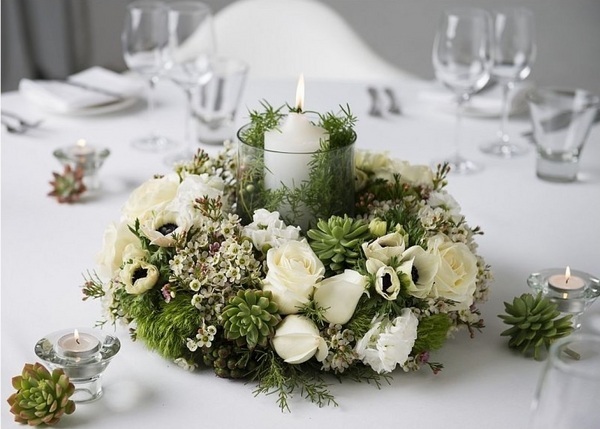 Table decorations with leaves and candles are absolutely gorgeous. 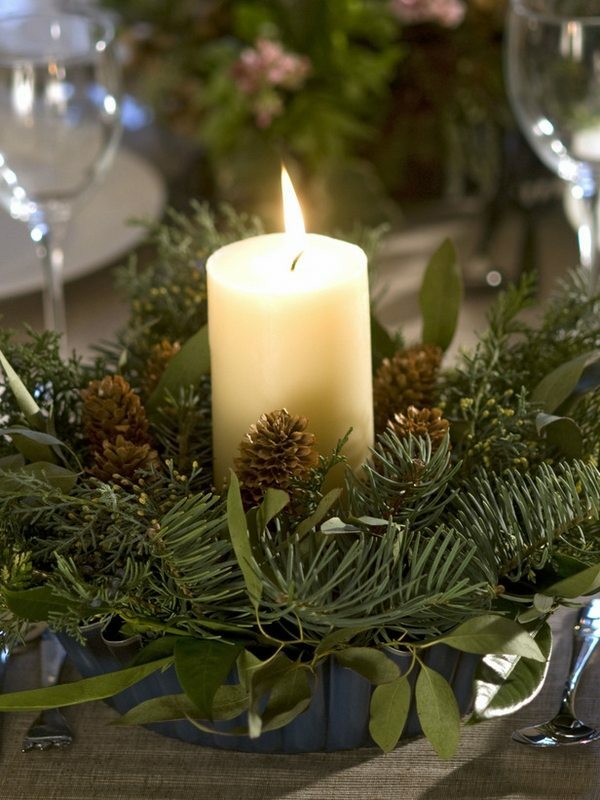 Candles, with their soft glow, create a welcoming and friendly atmosphere at the table. 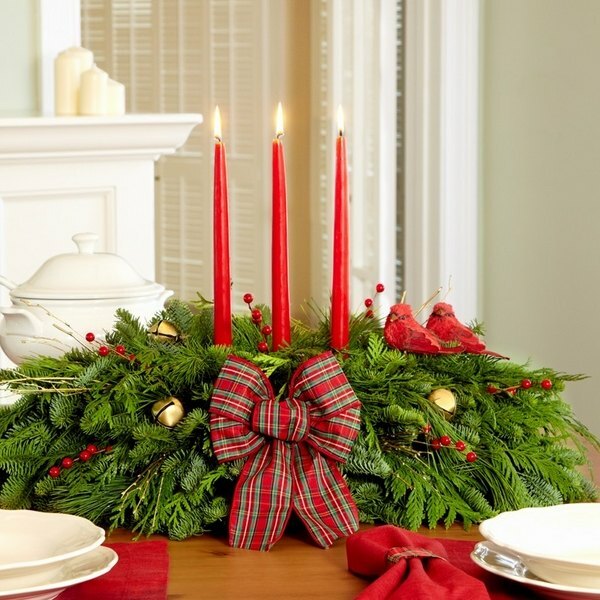 Thanks to the huge selection of different shapes and colors of candles they are a perfect addition to any festive table. 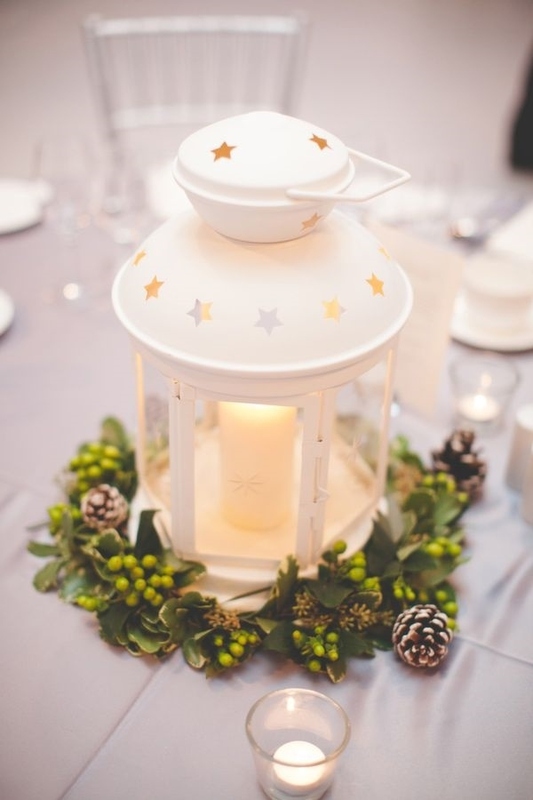 Candles can be placed in a container with water and decorated with flowers and glittering toys which will reflect the light and double the effect. 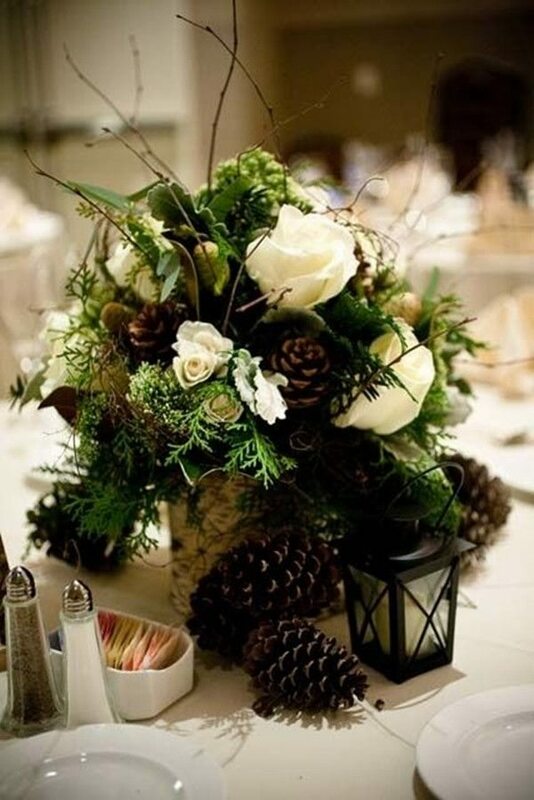 You could also use different color combinations of live or dried flowers and craft spectacular compositions for your holiday table. 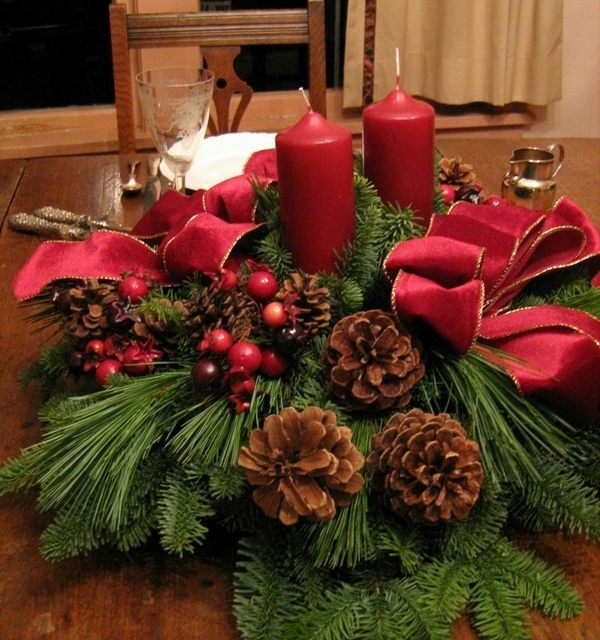 There is no need to spend a fortune on a table decoration. 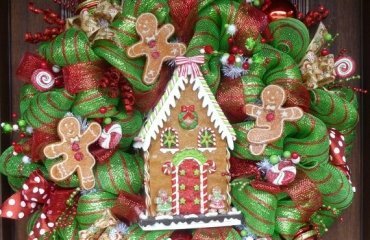 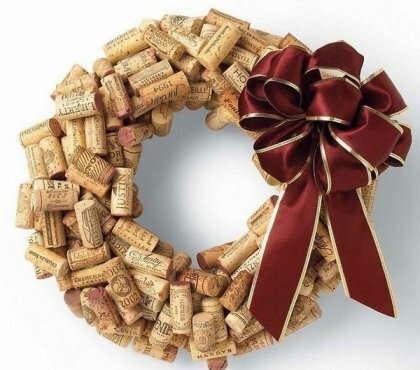 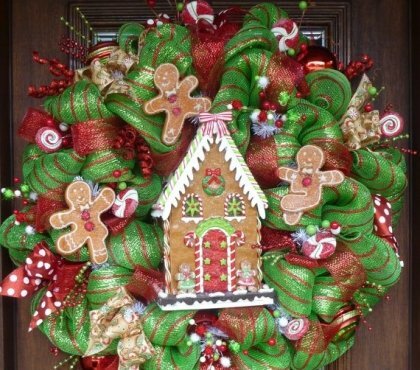 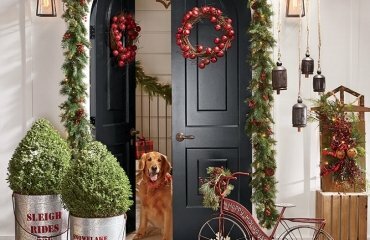 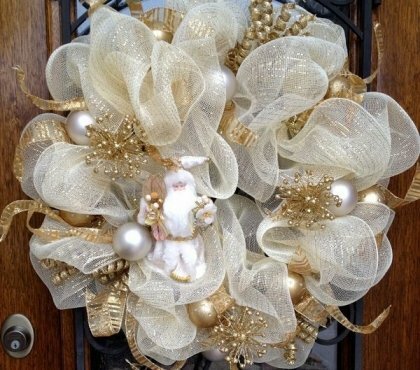 You can learn how to make wreaths with mesh and you could use your imagination and creativity and add some holiday magic to your home. 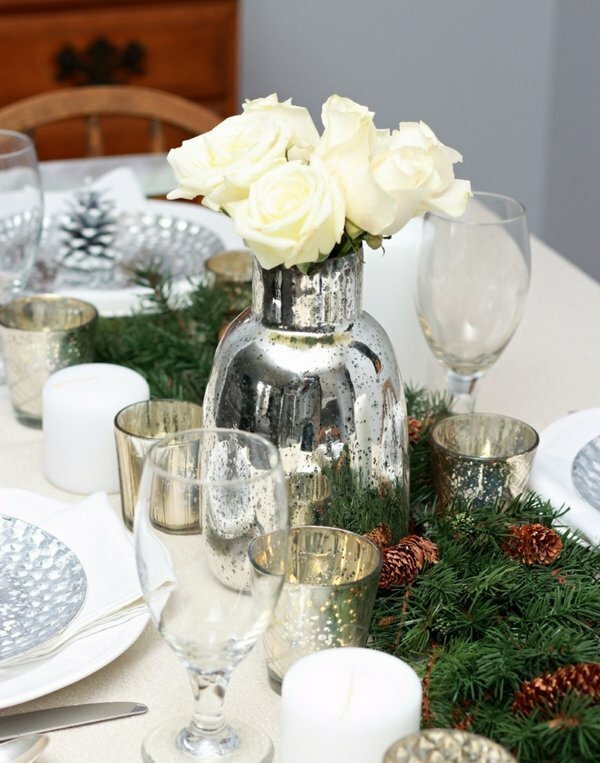 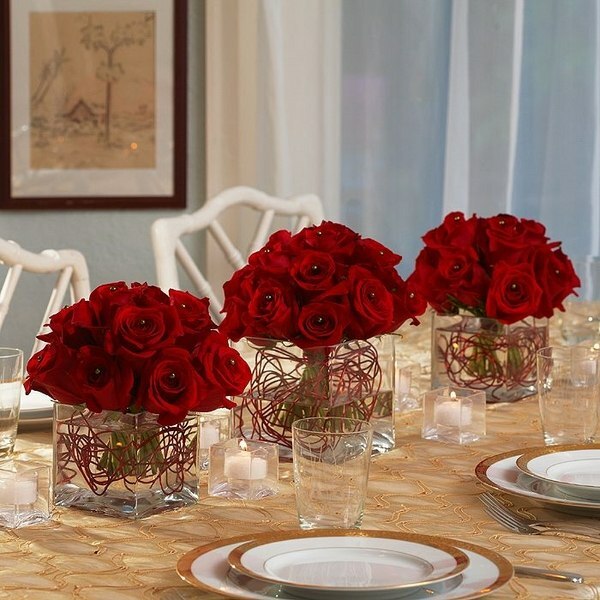 Imagine your table adorned with a festive holiday centerpiece. 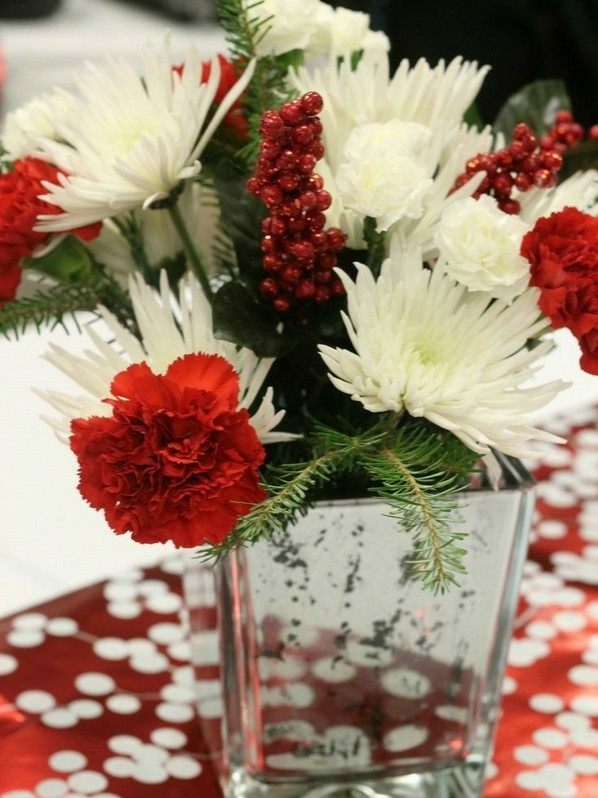 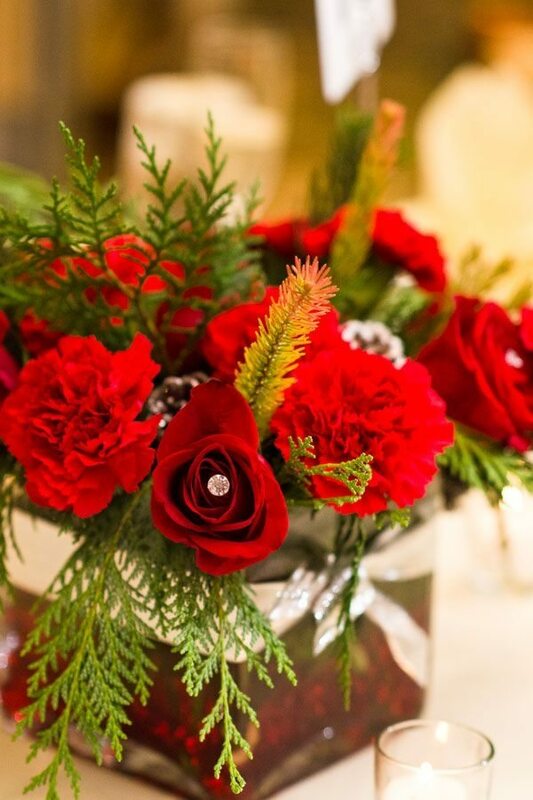 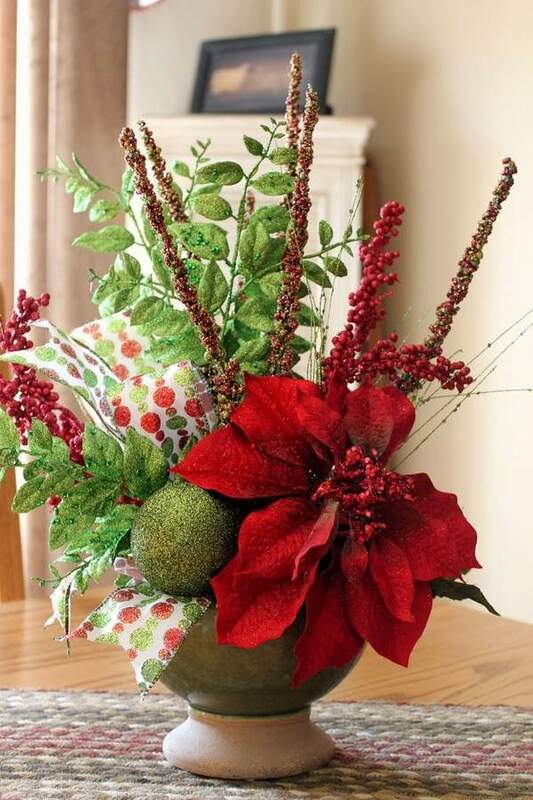 Floral Christmas centerpieces will beautify your holiday table and will add style, elegance and freshness. 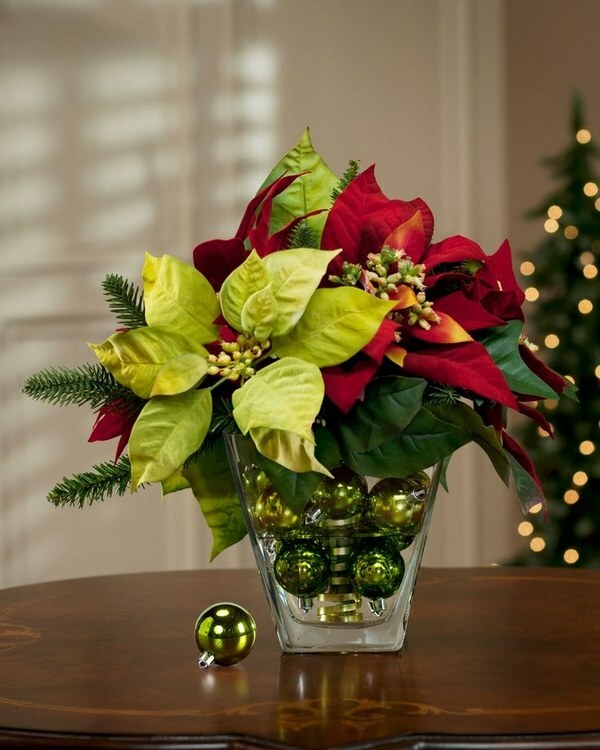 Use the Natural colors of the season – the green fir branches can be beautifully combined with red or white poinsettia. 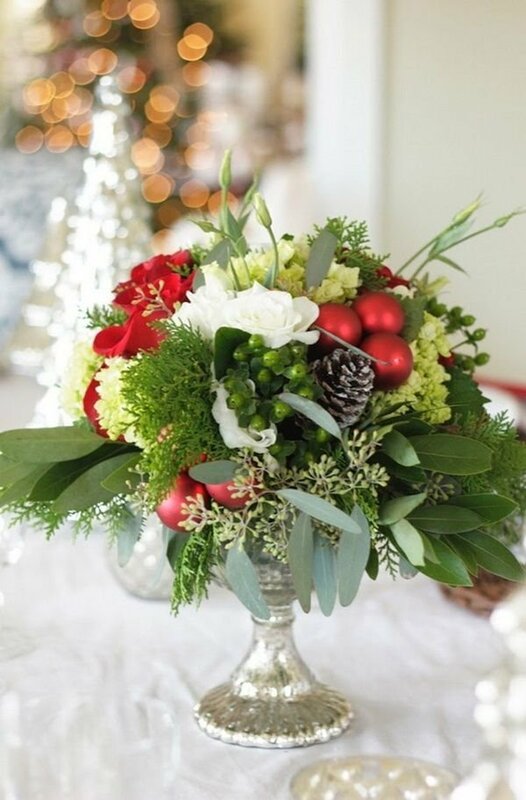 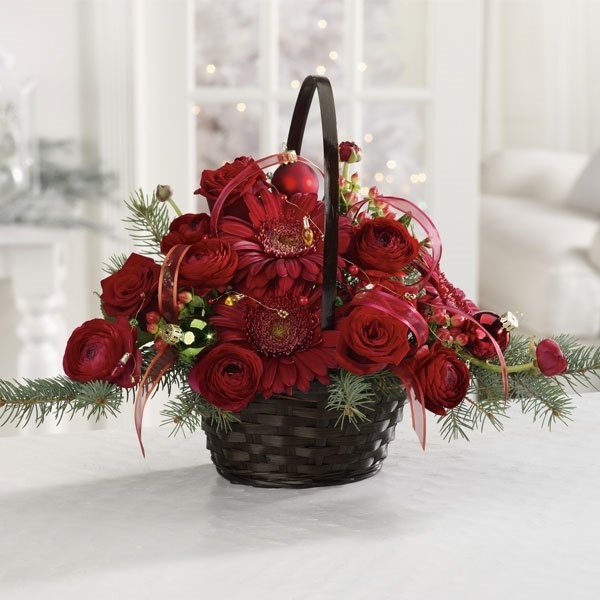 Mix carnations, roses or ivy with evergreens, cones and cranberry. 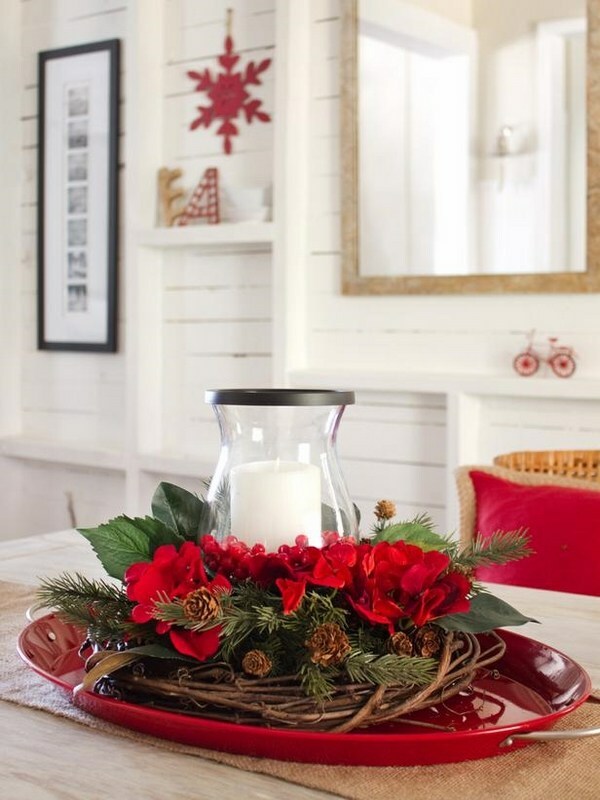 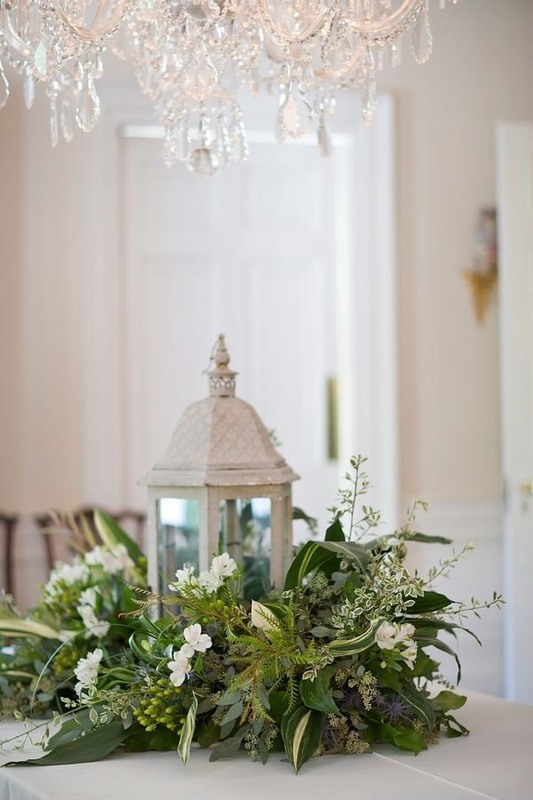 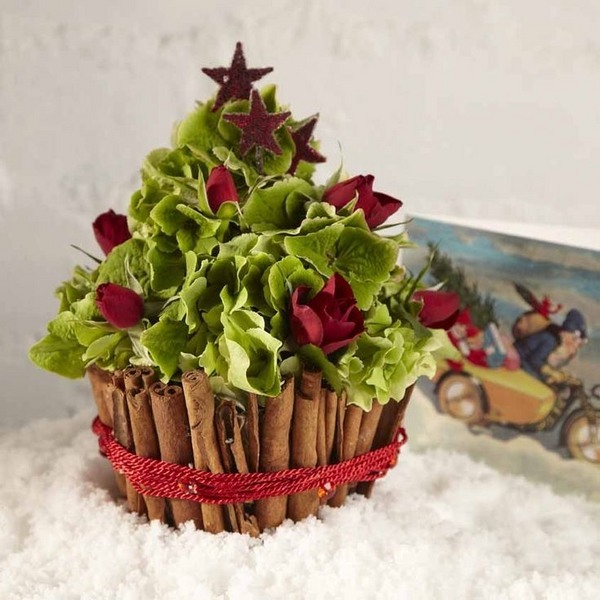 Look around for a tall vase which you can fill with ornaments and scatter cones and twigs around it.